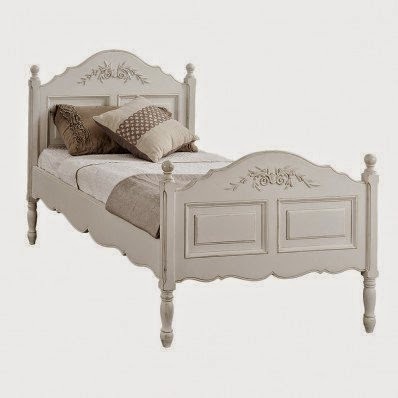 For two days I search all the bed stores and finally found this one at The Early Settler for $200 off. It doesn't arrive till next week but I just had to share. Isn't it beautiful! 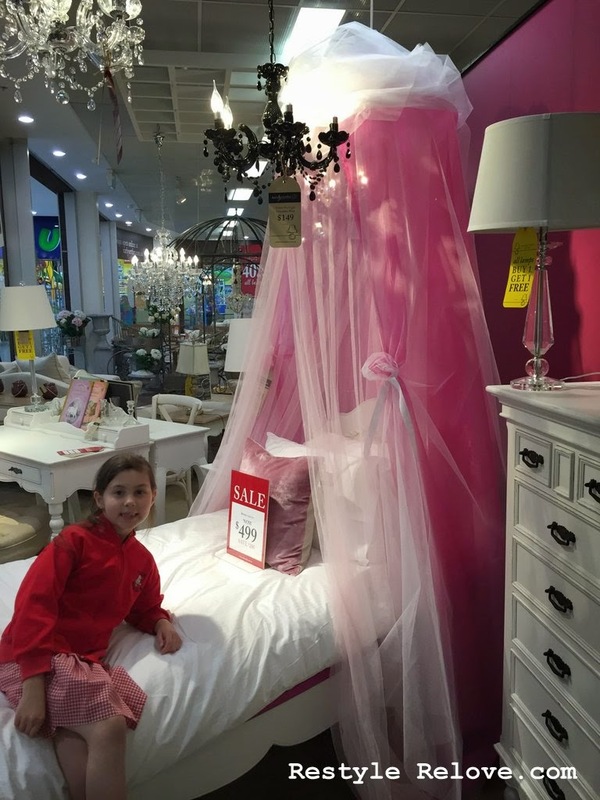 When I took my daughter to see it after school she wanted to know if the display canopy came with it. It wasn't for sale so I said that I would make her one. And here is mine. It was super easy and only took about half an hour. 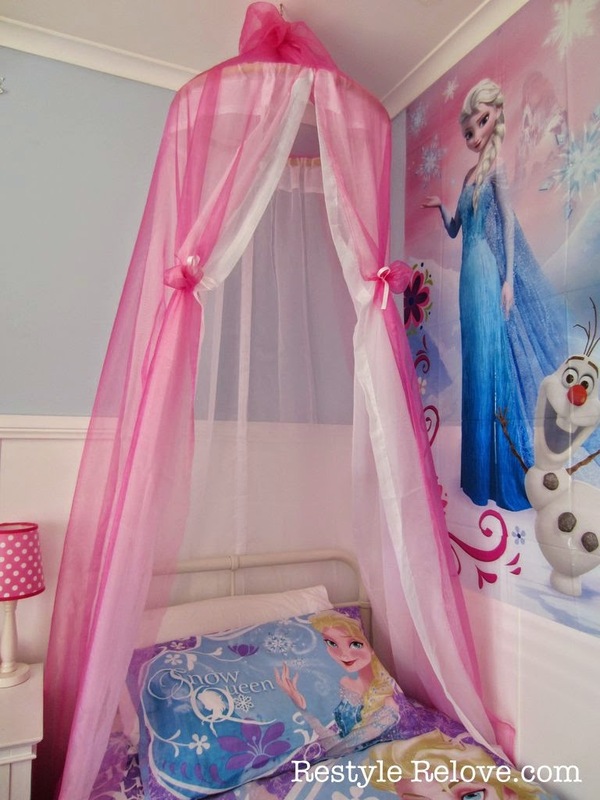 I purchased a pair of rod pocket white organza curtains from Target for $15. 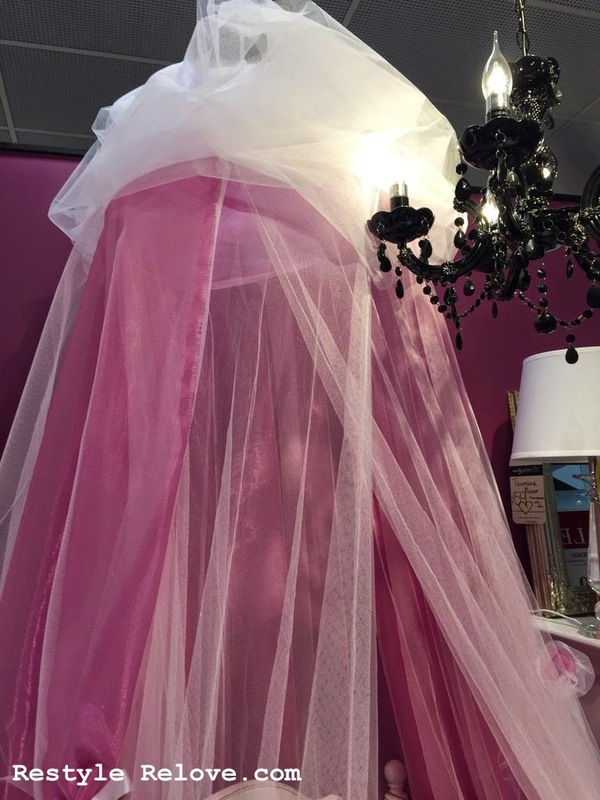 And 2.5 metres of hot pink organza fabric from Lincraft for $24. For the top I purchased a small hoola hoop in the cheap store for $4, took off the tape that covered it, pulled it apart, poured out the beans, cut off a bit to make it a bit smaller (approx 60cms wide). Then I threaded the rod pocket white curtains on the hoop and clipped it back together. Too easy. 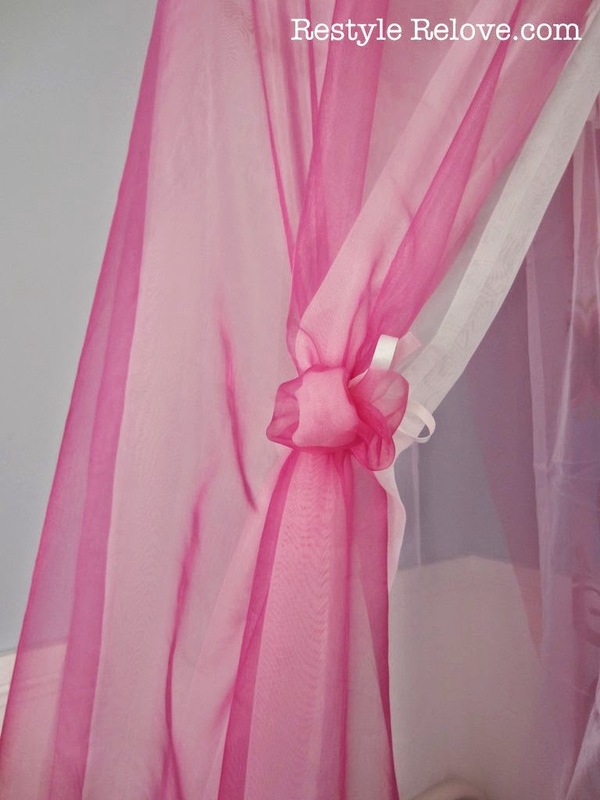 I cut my pink organza in half long ways and draped it over each side of the hoop. I attached white ribbon I purchased for $2 to the hoop to hang it from the ceiling, then secured the pink organza with a hair tie around the hanging ribbons so they were concealed and let the organza drape down over the top of the hair tie. I used some more of the white ribbon to tie the curtains on each side in bunches similar to little rosettes to hold them open. Same as the one we saw in the shop. I might add some bunched white organza to the top like the one in the shop, but for now she is very happy with it how it is. And it only cost $45. P.S. 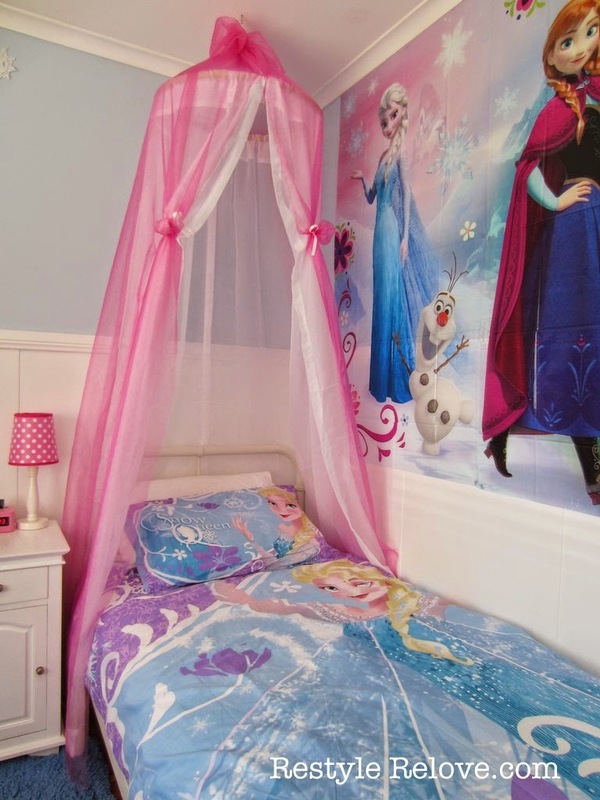 The Frozen bedding was a birthday gift and I have hung the scene setters from her party on her bedroom wall. So cute Julie. I love yours better. So sweet. Very sweet! How did you make the stand holding the canopy?